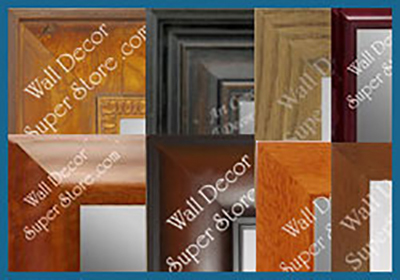 Personalize A Mirror Frame To Fit Your Function - Decor - Budget. 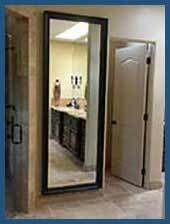 Since 2001 we have been personalizing custom mirrors of any size - We ship to every state in the country and guarantee safe delivery. 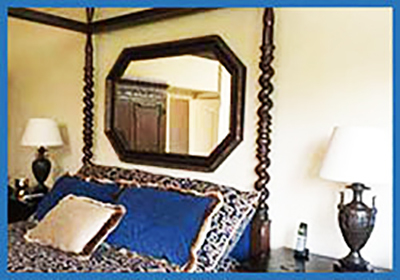 We fabricate to order - one mirror at a time for private home owners - and hundreds at a time for our corporate and hospitality clients. 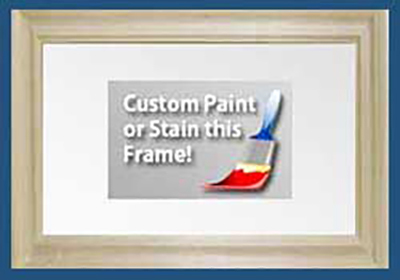 ANY SIZE: No Size limits - We can make a custom mirror with a frame your size - Very Very Small to Extra Extra Large. 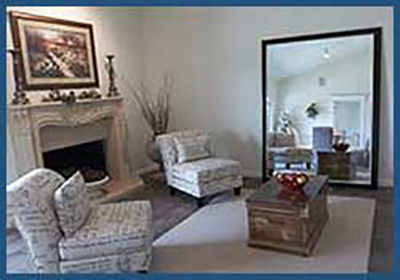 ANY ROOM: Bathroom, Living Room, Bedroom, Entryway, Hallway, Dining Room, Closet, Fireplace and more. 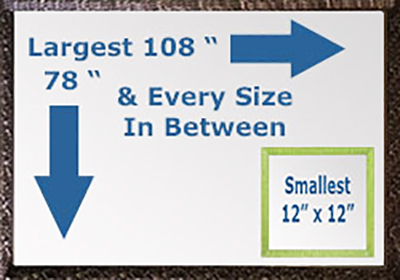 ANYWHERE: Guaranteed Safe Delivery - Immediate Replacement - Anywhere in the USA. 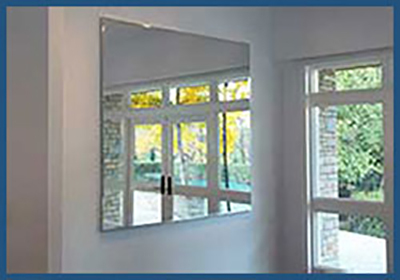 With this very popular and current style we can make a mirror from 12 x 12 inches to 40 x 72 inches. Learn more - See all 20 colors. 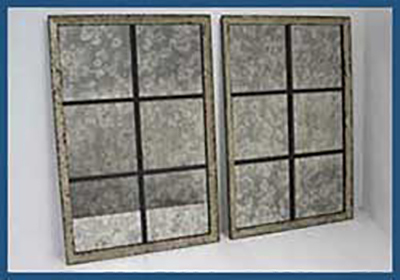 Every frame on our site can be fabricated in a window pane format. 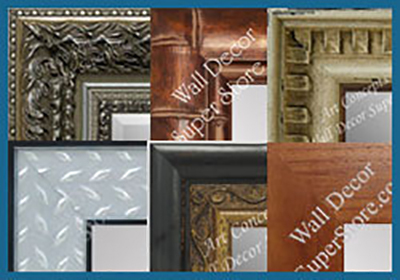 The price will vary depending on the frame style and mirror finish - beveled or traditional flat polished. 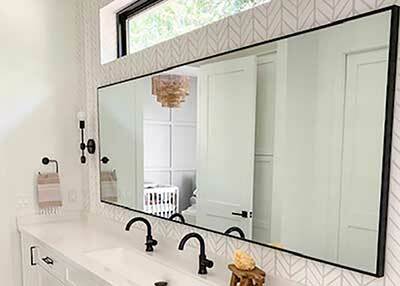 Create An Unusual Custom Mirror. Every frame can be fabricated in a Octagon Or Hexagon Shape. The price will vary depending on the style and mirror finish. 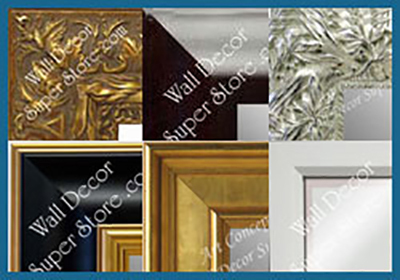 Every frame on our site can be fabricated using an high quality antique mirror. 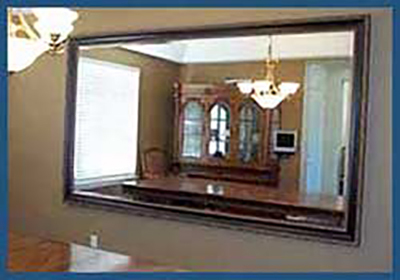 The use of a antique mirror creates a beautful effect and is often used as a focal point or impact mirror. Choose Any Size - Fit Any Space. 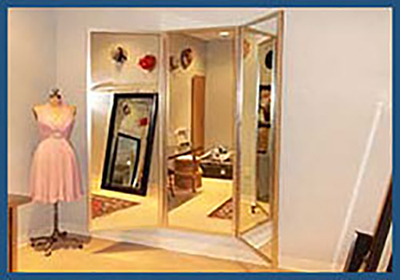 Learn More About Our Custom Mirrors - Very Large And Very Small OK! 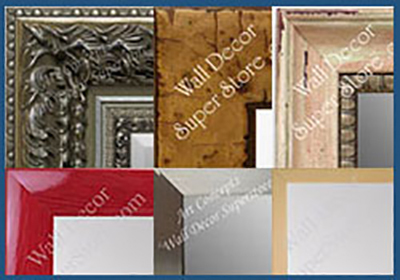 Art Concepts Wall Decor Superstore offers thousands of choices for custom mirrors of any size - very very small - to extra extra large. 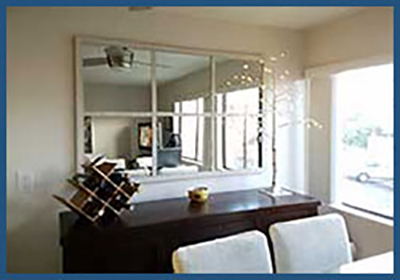 We manufacture mirrors in our Southern California factory and guarantee safe delivery throughout the USA. 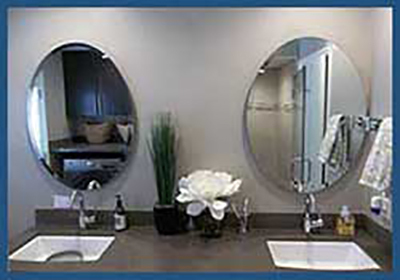 We create individual mirrors for private homes, and manufacture hundreds at a time for our corporate accounts. 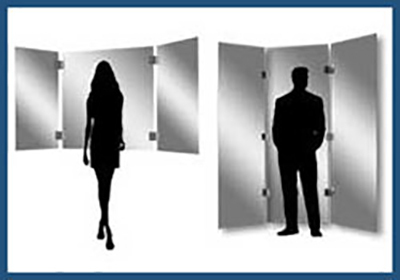 We offer many custom mirrors on our site, however our strength is what you do not see on our site - our ability to create custom mirrors to fit individual needs. 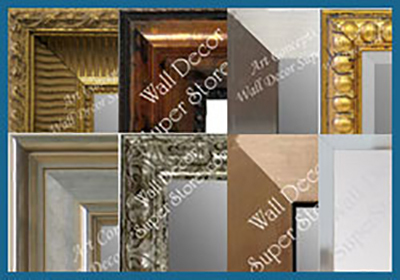 Provide us your style, size and color ideas and let us help you create a custom wall mirror or custom floor mirror to coordinate with your residential or corporate decor. 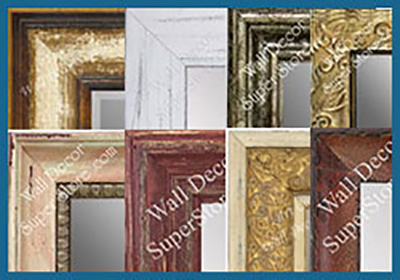 We offer thousands of mirror frame styles in our Southern California Mirror Warehouse Store. 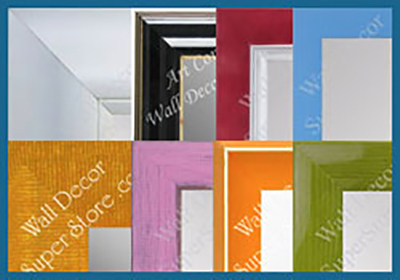 Although we show hundreds of frames on our web site, we have many more options. Please contact us if you cannot find a style or size you need.